You were elated to bring your first baby into your family, and you delight in watching her grow. Now it’s time for your baby to become a big sister! Preparing your home for a new arrival is hard enough, but how do you prepare your little one for the changes that come with a new baby? Show your child photos of when she was born. Don’t worry if you don’t have all the photos in albums! Showing your child photos of the day she was born, and how she’s grown since, is a great way to start a conversation about the new baby. Talk about how small she was and how gentle you had to be with her. Remember to point out all the things your child can do now that she couldn’t when she was a baby. Explain how your new addition will need a lot of care. Gruskin says, “Having interactions with lots of other babies and being taught to be gentle will help.” Even supervised visits with kittens and puppies can help teach your toddler how to be gentle. Allowing your first-born contact with babies will help you show examples of how they eat, sleep and behave. Give your child a visual image of her new brother. 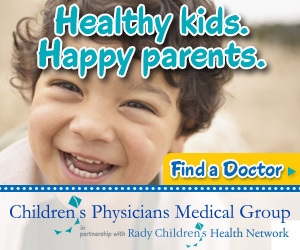 Invite your tyke along for a few doctor appointments during your pregnancy. Hearing the baby’s heartbeat helps to make the upcoming birth more real for children. You can bring her along to see your sonogram. “Any experience that prepares the child in ways that are developmentally appropriate will build on the learning experience,” says Gruskin. Check with the hospital where you will deliver or your pediatrician’s office to see if they offer a sibling preparedness class. Let your child help set up the nursery. Enlist your preschooler to help you get blankets, clothes and bath things ready for the new arrival. Have your child help you make a basket of essentials like wipes, diapers and diaper cream to keep in the master bedroom or family room. Toddlers and preschoolers love to make choices! “Include the child in decorating the new room or picking out new sheets for the crib if they will share a room,” says Gruskin. Your little one will love the sense of responsibility when she sees the baby sleeping on sheets that she chose. Despite all of your preparation, your eldest will still likely experience some adjustment challenges having to share the spotlight. Rest assured, your expectation-management was not a waste of time. Jennifer Levin is married and has three children.